In 2010, the overall email delivery rates across all industry sectors rose two percentage points to 95 percent, while unsubscribe rates dropped by .12 percent and bounce rates decreased 2 percent from the prior year, according to the Harte-Hanks Postfuture Index. DirectMarketingNews.com recently highlighted details from this data. The Harte-Hanks Postfuture Index analyzed more than 2.8 billion emails sent by 99 clients on the Postfuture email messaging platform. The nine verticals analyzed in the study were automotive, entertainment, financial, government, insurance, pharmaceutical, retail, technology and travel/hospitality. The highest delivery rates were reported by the retail sector with a one percentage point increase. The index provided email marketers with three distinct take-aways. 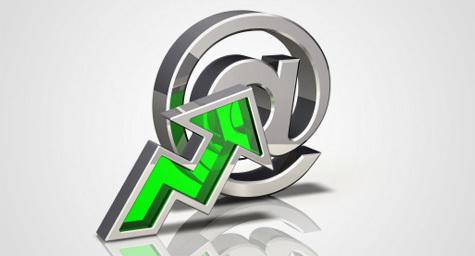 First, mailing lists should be kept as clean as possible by processing bounces and suppressing opt-outs immediately. Next, email messages should be relevant, targeted and delivered at an expected frequency rate. Lastly, every single email sent should be thoroughly tested. “Whatever you do, suppress your non-responders,” advised Ms. Bross. “It will affect rates, unsubscribes, and the sender’s reputation with Internet service providers.” She also urged marketers to focus on building dynamic content for messaging. While the index showed much-needed improvements in the email landscape, it also revealed that open rates were down and click rates remained stagnant since 2009. These findings were attributed to greater competition in the inbox. Overall, the results of the study indicate that email marketers have a better understanding of what appeals to audiences and are parlaying that insight into intelligent email development and delivery. Read the details at DirectMarketingNews. MDG Advertising, a full-service Florida advertising agency with offices in Boca Raton and New York, NY, specializes in developing targeted interactive marketing solutions, exceptional creative executions and solid branding and media buying strategies for the luxury market. Our core capabilities include print advertising, branding, logo design, creative, digital marketing, media planning and buying, TV and radio advertising, customer relationship management, loyalty programs, public relations, Web design and development, email marketing, social media marketing and SEO. View MDG Advertising’s creative marketing portfolio.